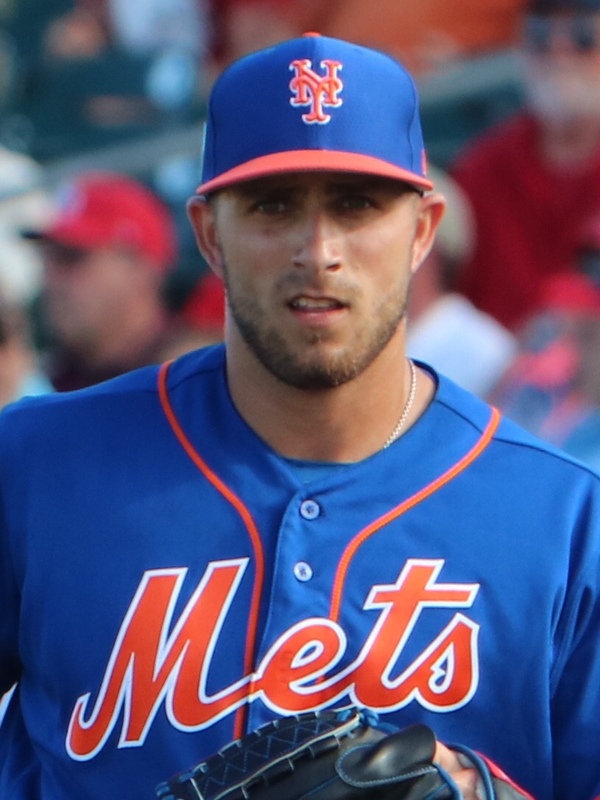 The Mets drafted Bashlor in the 11th round of the 2013 Amateur Draft out of South Georgia State. The righty made his Major League debut on June, 25th 2018 and pitched in 24 games last season. He tossed 32.0 innings with a 4.22 ERA while striking out 25, giving him an average of seven strikeouts per every nine innings. Bashlor missed all of 2014 and 2015 after requiring Tommy John surgery after blowing out his elbow. When he returned in 2016, his fastball was hitting between 94 MPH – 98MPH while Dave Eiland and Mickey Callaway helped improve his curveball to the “Seth Lugo” level. In 2017, he appeared in 34 games for high A, pitching 35 innings and striking out 61 with a 15.7 K per nine rate. He was later promoted to AA where he pitched in 12 games, 14.2 innings, and accumulated 23 strikeouts giving him a 14.9 K rate. The 25 year old righty is going to struggle with control as his Minor League career would dictate, but officials have high hopes in Eiland and Callaway to help minimize his base on balls, as much as possible. Bashlor will be competing against other right handed relievers such as Rule 5 Draft Pick Kyle O’Dowdy, Drew Smith, as well as Paul Sewald. I expect that we’ll see a whole lot of Bashlor and his curveball during this 2019 campaign. “The Put it in the Books Show” airs live on every Monday between 7P.M. – 7:30P.M. on YouTube.